Bonn, Germany -- Governor Kate Brown, the Port of Portland, and Business Oregon announced that Swire Shipping will begin container shipping service at the Port of Portland's Terminal 6. The announcement follows Governor Brown's recent trade mission trip to Hong Kong, where the Governor and Port representatives met with Swire corporate executives. This new shipping option is part of a larger goal to ensure Oregon and regional shippers have access to the global marketplace. "I am absolutely delighted to announce new container service will begin at the Port of Portland's Terminal 6," Governor Brown said. "Not only does the container service support jobs for Oregonians, it's going to give more options to Oregon companies as we work to maximize Terminal 6. We've been working hard to expand export options to our Oregon business, which is why I recently lead a trade mission to Asia. Strong trading partnerships and access to global markets allow Oregon businesses to grow, helping to sustain a thriving statewide economy." Swire Shipping will begin offering a mix of general, non-containerized cargo and container service starting in January 2018. The ship call at Terminal 6 is likely to be monthly and includes export shipments of Western Star trucks to Australia, export containers to Australia / New Zealand, and import containers from Asia. The trucks are manufactured by Daimler Trucks North America at their Swan Island plant in Portland. This is a critical first step toward restarting container service at Terminal 6 and will aid in efforts to attract an additional service in the future. 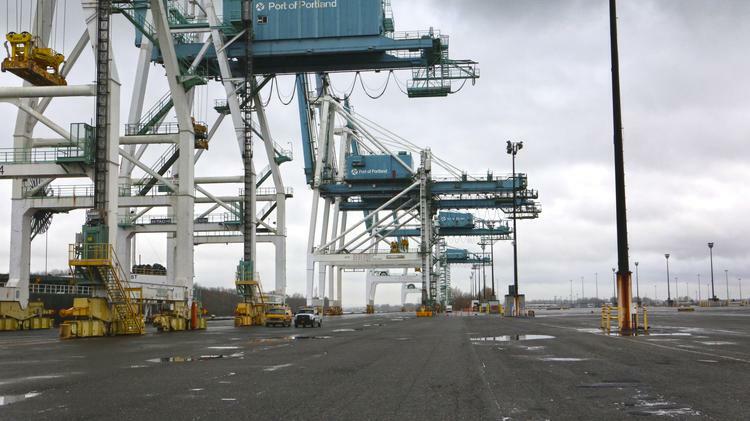 "The Port is focused on giving our local shippers a variety of options to move their goods efficiently," said Curtis Robinhold, Port of Portland executive director. "Most importantly, this signals that T-6 is open for business. We very much appreciate the growing partnership we have with Swire." Governor Brown says the Swire Shipping service builds on the Port's successful recruitment of air cargo service offered by Cathay Pacific at Portland International Airport. Both organizations are partially or wholly owned by the Swire Group. Governor Brown says iternational trade is a large and vital part of the Oregon economy, linked to the health of agricultural, forest, manufacturing, and distribution industries. Brown says Swire's new shipping service is supported by a $250,000 Strategic Reserve Fund investment to help Oregon businesses get their get products to international markets efficiently, and support Northwest shippers. Brown says while this is an initial step toward maximizing of T-6 long-term, it is pivotal to Oregon's economic competitiveness and the growth of Oregon businesses.